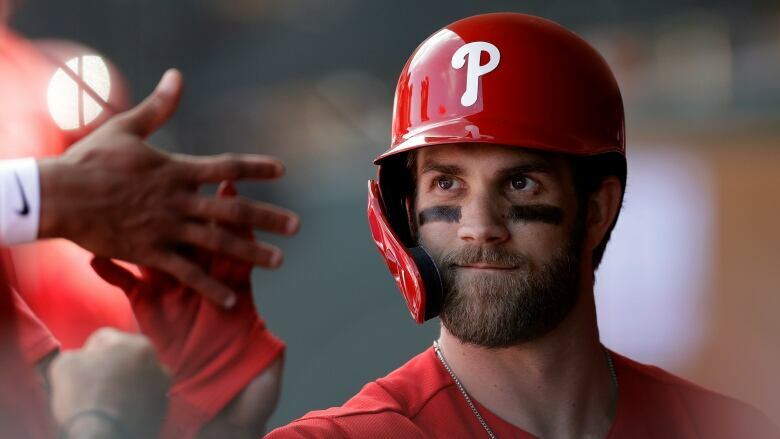 Bryce Harper drew big cheers, a pair of walks and an unusual defence in his spring training debut for the Philadelphia Phillies. Anyone want Jays tickets? Bueller? Bueller? The six-time All-Star outfielder signed a $330 million US, 13-year contract last week, surpassing the $325 million deal the Miami Marlins gave Giancarlo Stanton in 2014. Fanatics said Harper's No. 3 Phillies jersey was the all-time bestseller for any athlete during the first 24 hours of launch. The team store quickly store ran out of letters and didn't have any more R's for adult jerseys in the first week. More than 340,000 tickets were sold within a week. It's never too early to talk baseball, right?